Bournemouth Town Centre BID Rangers helped recover nearly £3000 worth of stolen clothing last year for high street store Zara. 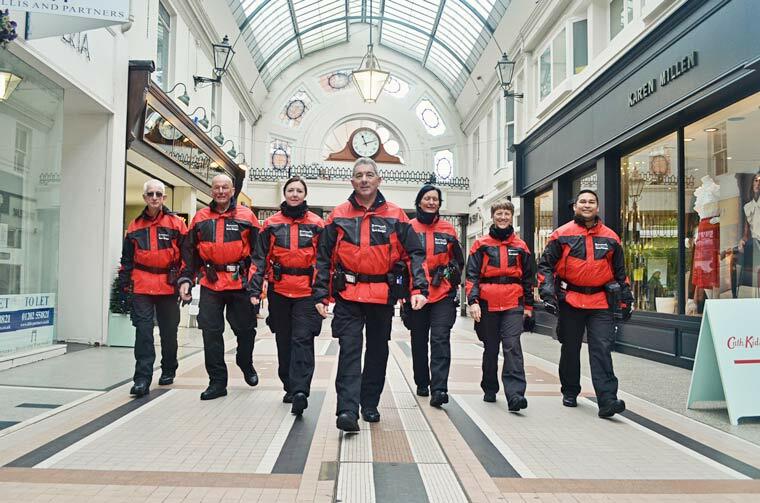 They may not be the American superheroes, but last year, Bournemouth Town Centre BID Rangers received a call over their Shop Watch radio from the Zara store on Commercial Road and it resulted in the recovery of nearly £3,000 of stolen stock. A customer had noticed two females concealing items of clothing in a large brown bag before leaving and travelling towards The Square. Responding to the call, ranger Bob Carter liaised with the town cameras and made to head off the thieves in Albert Road. A Police Community Support Officer (PCSO) spotted the girls offloading their bags and outer clothing into a car. Arriving at the scene, Bob noticed the two females running. Though they now did not match the description, Bob stopped one of the females who stated that she was running after her friend whilst shopping. Acting as support and witness for the PCSO who detained the car driver, Bob reported the vehicle after noticing a brown bag containing security tagged clothing was inside. He and the PCSO prolonged the incident in case a police unit became available. Bob asked to look in the boot and surprisingly the driver gave his permission. Items of tagged clothing were found throughout the car alongside more brown bags. Foil had been placed inside the brown bags to fool store security gates. Whilst this was happening the females left in a second car. The detained driver claimed he hadn’t known the girls long, but did give their first names. Following the incident, 47 items from Zara worth £2,487 and £380 from Topshop were returned. Without the attendance of Bob, the Town Centre Rangers and the PCSO, the criminals could have benefitted from their crimes.